This hidden complex is all that remains of a secret laboratory run by House Cannith during the Last War. Research into war constructs was being conducted here until the magical cataclysm that destroyed the nation of Cyre and created the Mournlands. The adventurers gained access into the uppermost circular chamber which initially appeared to have no exits. When a passkey from their sponsor was used, the chamber rotated to open a way further in to the complex. As they investigated further, they found corpses everywhere preserved where they fell, and additional passkeys. What was unexpected however was the discovery that animals used for experimentation had survived and gained intelligence. A pack of intelligent wolves, led by a dire wolf, had been surviving by eating the dead. Under the conditions of the curse, the devoured dead grew back again. The adventurers used a combination of force of arms and negotiation to deal with the facility’s inhabitants, which included a half-stone golem dire wolf, a number of living spells, and two large fire elementals that had broken free in the forge to the northeast. Eventually they found the schema fragment they were looking for, and they began to make their way home. Hi! 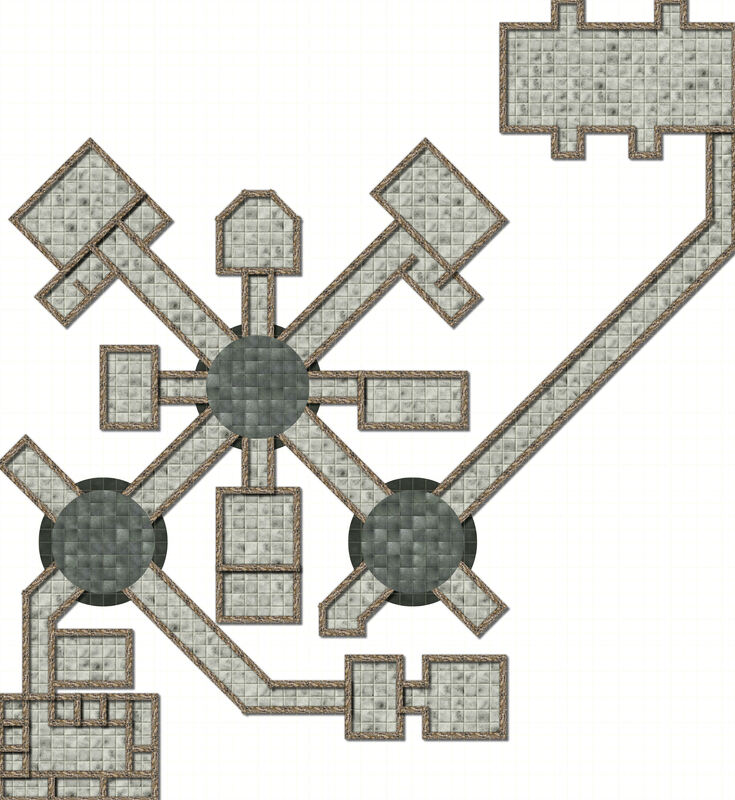 I’m preparing an article about Whitehearth and I was wondering if you’d allow me to use your map, it looks amazing!